Just saw a good cartoon (sorry I can’t post that). Teresa May is meeting the queen and the queen comments on the current Brexit mess. 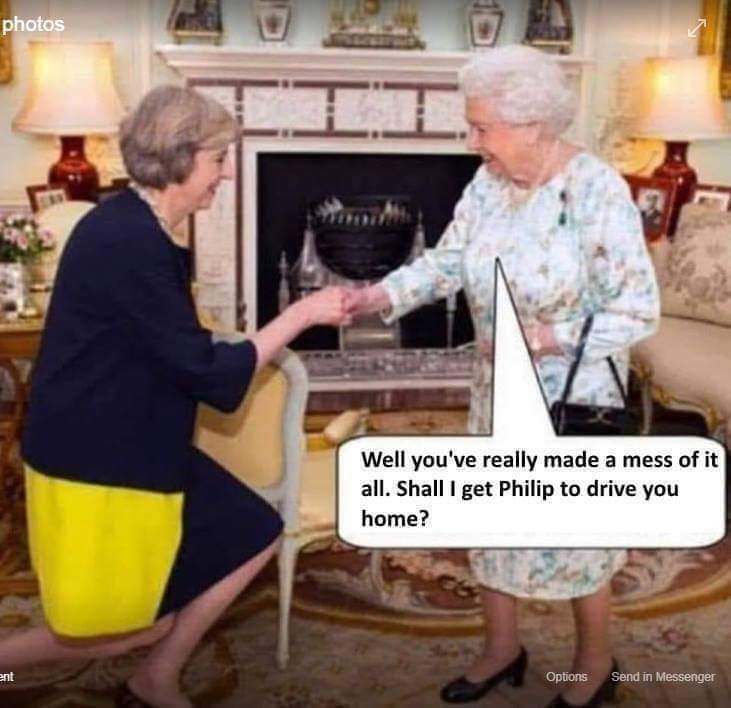 She then offers Teresa a lift home with Prince Philip! Yes abirdo, Teresa would be living dangerously if she accepted. At last Prince Phillip has apologized to the lady he injured, wonder if any compensation will be forthcoming from the royals, but time Phillip was told to stop driving get one of the chauffers to drive him around.